You are here: Home / FREEbies / FREE Sample of Garnier Fructis Marvelous Oil! Who loves FREE samples??! 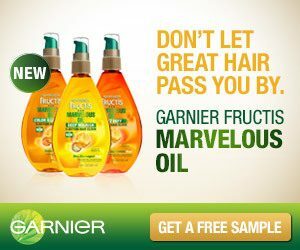 Get a FREE Sample of Garnier Fructis Marvelous Oil when you complete your information HERE.